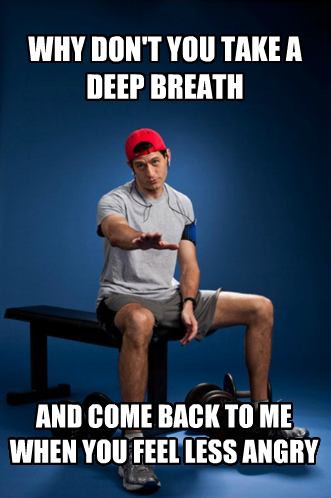 Just put on your worst-looking gym clothes and a backwards red baseball hat and you’re set. If you really want it to be authentic, you could buy this t-shirt, these shorts, and this hat . Be prepared to express some pretty offensive and condescending ideas about gender equality, women’s rights, taxes, and the middle class if you’re going to go as the beefcake. 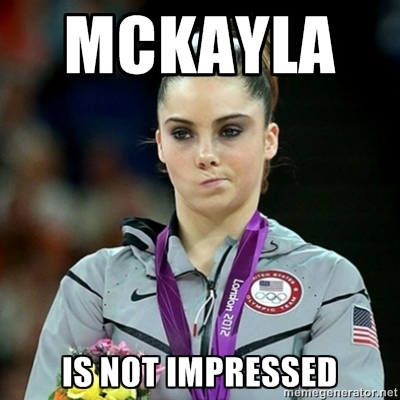 This one was one of the most popular memes to come out of the London Summer games. The first item you should get for this costume is the silver medal – very important since this is what caused the expression in the first place. If you have about $500 kicking around you could by the official team jacket she was wearing, but a grey shell suit or hoodie would do. Don’t forget the scowl. 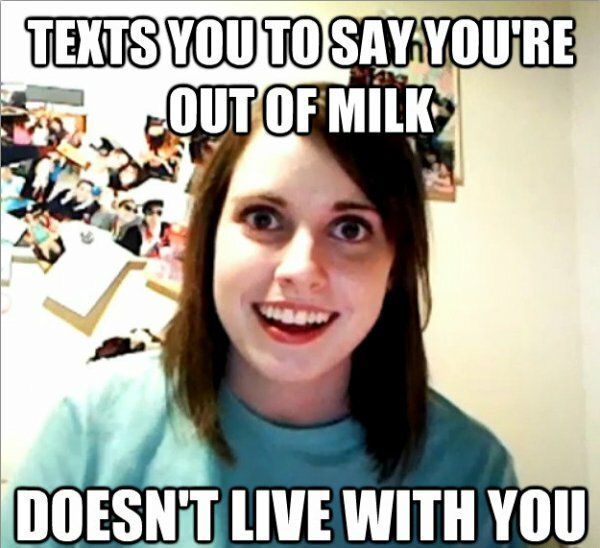 The look in her eye always creeps me out when I see this meme. All you need for this one is a teal t-shirt from Target and you’re ready to go. You might also want to pick up a standard brunette wig to finish off the look. Be sure to work on your wide-eyed stare and creepy things to say about how possessive you are… knowing her personalized lyrics to Justin Bieber’s “Boyfriend” wouldn’t hurt either. This one is great. It comes with a little dance and everything…you would be the hit of the party! I don’t even need to explain what to buy for this one because there are already websites devoted to Gangnam Style costumes…check out www.psycostumes.com to build yours. This one is ridiculously easy. 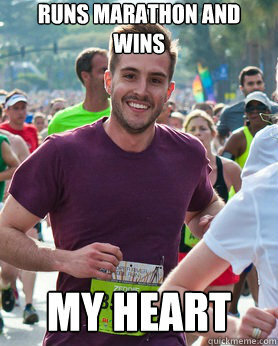 Purple shirt, black running shorts, stubble, smile, and you’re done. 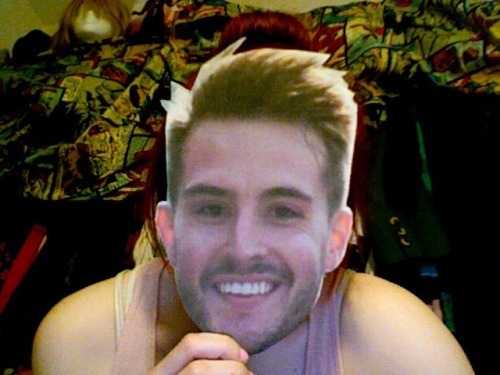 If you really want to get advanced, you can print out a pic of Zeddie Little, glue it to a piece of cardboard, and you have a mask, like this. What’s your favourite meme of 2012, and will you be dressing as it for Halloween?